It’s subtle, but human nature often is. Our standard approach to the strange story of pharisaical unbelief is to attribute their rejection of Jesus to spiritual blindness and hard hardheartedness. And though they certainly were blind and hard hearted, these are Jesus’ terms, there are some alarming hints in Scripture that many actually knew Jesus to be the Messiah and rejected Him anyway. Nicodemus’s statement in John 3:2 is revealing: “We know you are a teacher who has come from God.” in John 15:24, Jesus affirms that their guilt comes from their rejection in spite of their knowledge of who He is. They couldn’t let Him disrupt the hold on spiritual authority. We tend to think of unbelief as the result of intellectual stumbling blocks to the gospel, or philosophical objections, or the lack of evidence and authentic miracles. But these things are usually cited by unbelievers simply as a covering for deeper issues. The real issue of unbelief is the inclination of the human heart. It wants to remain enthroned. It cannot accept a savior without denying its own ability to save. The human rebellion is well disguised with convicting excuses. “We didn’t know. We didn’t have enough proof. Jesus’ teachings didn’t make sense to us. We did the best we could. Love and tolerance are the key. not the dogma.” Underneath the mask, the hearts contempt for its Creator runs deep. We hide it well, even from ourselves. But it’s there. Watch for this tendency in your own heart. Often we assent to Jesus mentally but resist Him deep within. Have you known this struggle? It’s subtle, but human nature often is. We come across as enthusiastic believers, but the unbelief deep inside wants to put up a good fight. It wants to retain the right to a little bit of sin, to maintain a little bit of autonomy. We often really want only a partial submission to our Creator. 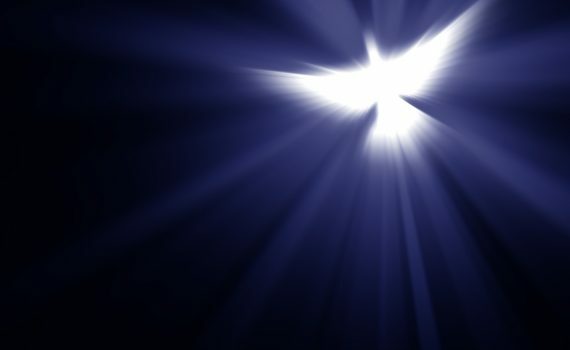 Let the Holy Spirit search, and transform, the deep places of your heart. Let Jesus complete His miracle in you.